Home CPP-NPA International Italy Norway Peace Talks Politics President Rody Duterte Rome After Ending Ceasefire with NPA, Duterte says "Peace Talk is Over"- You Go Back to Jail! After Ending Ceasefire with NPA, Duterte says "Peace Talk is Over"- You Go Back to Jail! Philippine President Rodrigo Duterte said he is scrapping peace talks with communist rebels due to take place later this month. Pres. Duterte said he is abandoning discussions in Norway with the New People's Army (NPA) and is instructing his negotiators to return home. He said that demands by communist rebels for the release of 400 prisoners were excessive. The news follows the end of a six-month ceasefire between the two sides. "I'm not ready to resume [peace talks]," Pres. Duterte said, adding that he would "request the Philippine contingent to fold their tents and to come home". "I tried everything," he added. "I walked the extra mile, released prisoners, released their leaders so they can go to Oslo to talk." However, he suggested the door was not closed completely. Pres. 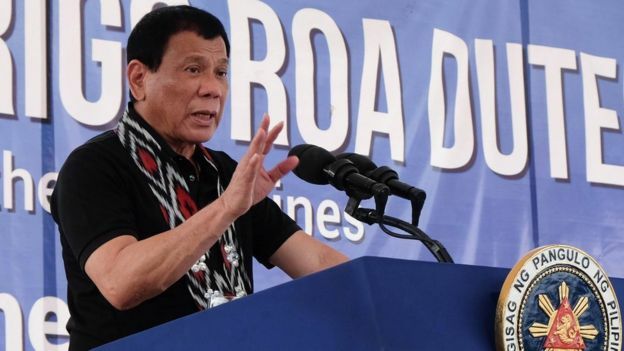 Duterte said that the communist leaders who his government had freed temporarily to take part in the peace negotiations overseas now faced returning to jail. There has been no immediate comment from the rebels. Talks in Italy last week aimed at negotiating a truce failed when the rebels demanded the release of 400 more political prisoners, including a man who killed an American army colonel in 1989. Negotiators from both sides met in Rome to come up with a negotiated truce but failed when the rebels demanded the release of 400 more political prisoners, including a man who killed an American army colonel in 1989. They will return to The Netherlands in three weeks to resume talks on political, social and economic reforms, including terms of a bilateral truce. The six-month ceasefire between the two sides broke down in recent days following renewed fighting. Previous ceasefires have also been marred by the killings of soldiers and rebels. Since he took office last year, Pres. Duterte has tried to revive the peace process and has already held two rounds of formal discussions with the rebels. The conflict, which began nearly 50 years ago with the Communist Party of the Philippines (CPP) and the NPA, its armed wing, has claimed an estimated 30,000 lives. The rebels, who say they will not give up arms even if a deal is reached, have accused the country's military of using Pres. Duterte's drug war as a pretext to mount operations in rebel areas amid ceasefires. They strongly oppose the US military presence in the Philippines and have in the past killed American service personnel stationed in the country. They would stop "unless there's a compelling reason ... that will benefit the interest of the nation", he said. The military, the NPA and government negotiators were hoping peace talks could resume, but Pres. Duterte's latest comments suggest he has lost patience with a process he had made a top priority. Pres. Duterte on Friday ordered the army to hunt down the guerrillas and accused the communists of negotiating in bad faith. He accused them of continuing to recruit fighters, attack businesses and extort money from owners of plantations, mines, and transport companies. Organized in 1969 as a ragtag army which said to be supporting the Aquino’s to oust Marcos, the NPA has been waging protracted warfare to overthrow democratically-elected governments. 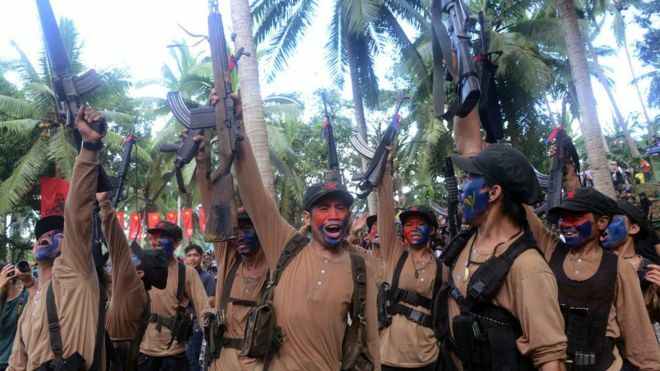 At its peak, the NPA had 25,000 armed fighters, but now has about 3,000. With report from BBC UK and the Reuters.